I think about Nativ every day. Aside from giving me amazing new friends, countless memories and laughs, and a newfound love of Israel and Judaism, being a part of Nativ 35 taught me to seize every opportunity. Part of the gift, and the challenge of Nativ, is how much freedom you are given. Most weekends, you are free to do whatever you want. Sometimes that means staying in and having Shabbat with your friends, finding new synagogues for Kabbalat Shabbat, and attempting to cook your own Shabbat meal. But for me, more often it meant exploring the country. I spent the most incredible weekends staying with somewhat crazy, but incredibly kind hosts whom I found through a mutual friend, in hostels in different and interesting parts of the country, or with extended family who I was fortunate enough to get to know over the course of Nativ. I got lost on a hike in the Galilee, went to a crazy Kibbutz Purim party, jumped off a cliff in Akko (Sorry Mom! ), went running on the port of Tel Aviv, camped out on the beach, and so much more. Along with going to school at the Hebrew University of Jerusalem and volunteering at Kol Yaakov Elementary School in Yerucham, and all of the incredible activities and trips with Nativ, these experiences made my year complete. Use your resources! Reach out to family and friends in Israel! One thing I learned about Israelis is that they LOVE company for Shabbat. 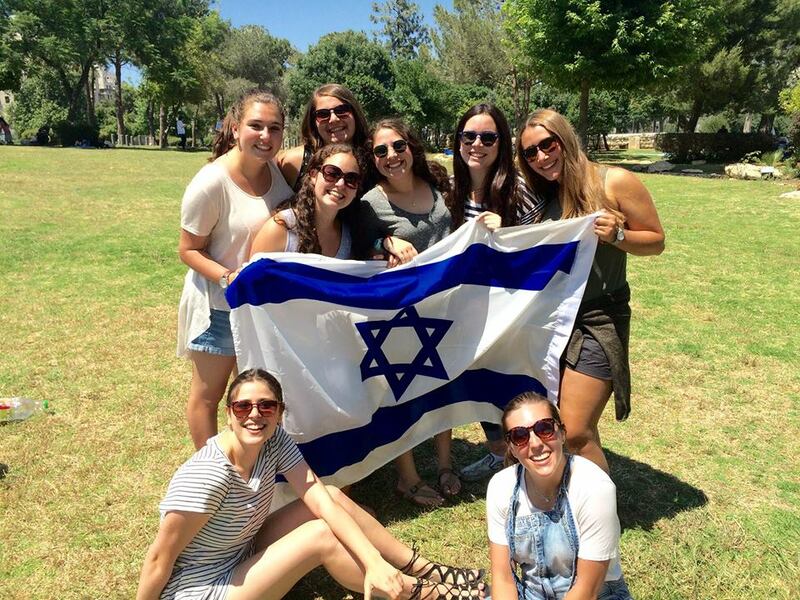 If you don’t know anyone in Israel, ask your Madrichim for connections! One of my most memorable weekends was spent on Kibbutz Nir David, staying with a friend of my Madricha. I got to explore a new part of Israel and form new relationships at the same time. Don’t go to Tel Aviv every weekend. You can’t lie on the beach forever. The less you go, the more fun it is every time you DO go! Speak Hebrew. Israelis love it when you try, so don’t be shy! Don’t wait for the weekend. Every day is an opportunity for exploration. Find new restaurants in Jerusalem, go to Hebrew U events and speakers, explore the lake in Yerucham, play in the park with your students. Most of all, never say no to an opportunity, because this is YOUR year. Nativ 36, I’m so insanely jealous that you get to experience it all from the beginning. Have the best year ever. I know I did.